The seeds began germinating on 4/10/18. On 4/16/18, some of the seedlings were transferred to a growth chamber within the greenhouse. The LEDs were on from 5 pm to 9 am (16 hrs.) so that the dark period temperature (~90 deg. F.) was higher than the light period temperature (~75 deg. F.). 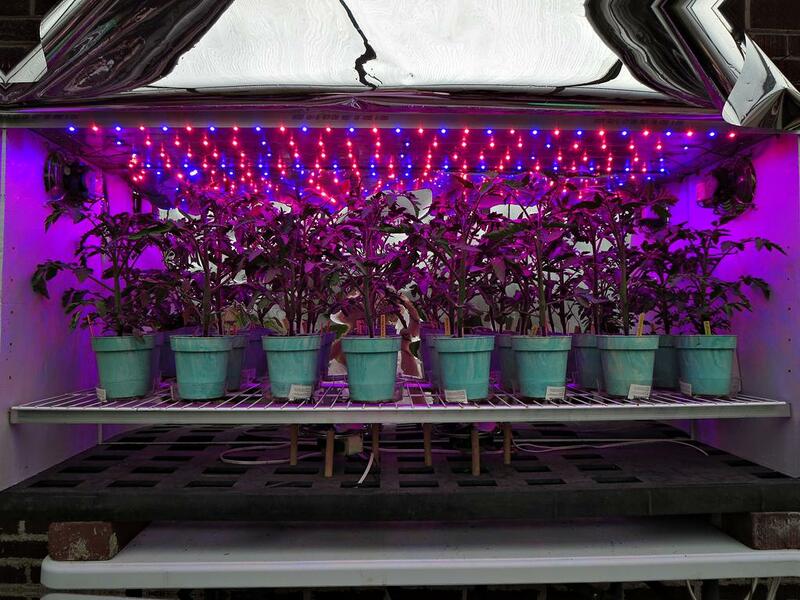 The growth chamber contained 62 660nm and 40 420-430nm "3W" LEDs. On 5/14/18, 40 days after planting seeds, these are the results. 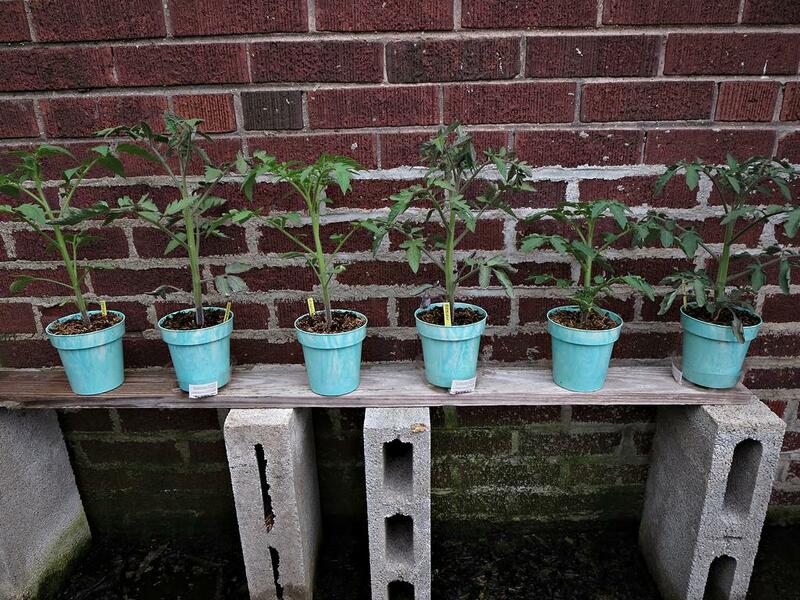 Below is a comparison with daylight grown seedlings, left to right, daylight grown Steakhouse, LED grown Steakhouse, daylight grown King of Giants, LED grown King of Giants, daylight grown Riesentraube, LED grown Riesentraube. Observe the thicker stems on the LED grown seedlings. Although the LED seedlings look darker in the photo, they have less green pigment (chlorophyll) but more purple pigment (anthocyanin). This is not due to a phosphorus deficiency. I wish I could plant these in the ground today, but, it is raining and a week of intermittent rain is forecasted. I can't till mud. Last edited by cincinnana : 11-03-2018 at 08:00 PM. Next Thread: Growing bamboo from seed?